This is called the master cleanser lemonade fast, lemonade detox and cleanse lemonade diet nutrition. This is very popular nowadays. BEYONCE lose 20 pounds in 10 days with it. There are many testimonies of people who lose weight and gain other benefits so it is a great way to lose weight. But there were complaints about it. Many people have practiced fasting. Therefore, continued to increase. 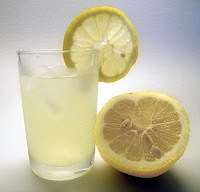 But because the lemonade diet was created by one person, Stanley Burroughs, it has attracted a lot of people are afraid to correct or change anything. Then they follow like a cult or a religion. So, here comes the lemonade diet. The first question of course is does it work? The diet, or in truth what is considered to be fasting, will ask you to drink lemonade with maple syrup, along with cayenne pepper 6 times a day for one week or more. Add to that, you will need to drink a natural laxative made of water and 2 table spoons of sea salt. This diet promises to clean your body and colon and give it a rest from all the toxins – a wonderful combination of losing weight and detoxification. Well of course it does, but the question should be at what cost to you and your health? Is it safe? Many people will forget to consider if the diet they are going to try is safe or not. And many doctors will tell you that this on and off cycle of dieting is very bad for your health and should be avoided because it puts us in a worse position to lose weight properly and may have adverse side effects on our internal organs. The lemonade diet or lemonade fast only works because you are not eating anything. Think about it, if you don’t eat for ten days will surely lose weight, even without this plan. The additional laxative that a person takes drastically puts them at risk because they will be losing too much water, minerals and other nutrients that the body needs. Continuous use of laxatives will irritate your intestines and your bowel, and may make your system dependent of the substance.